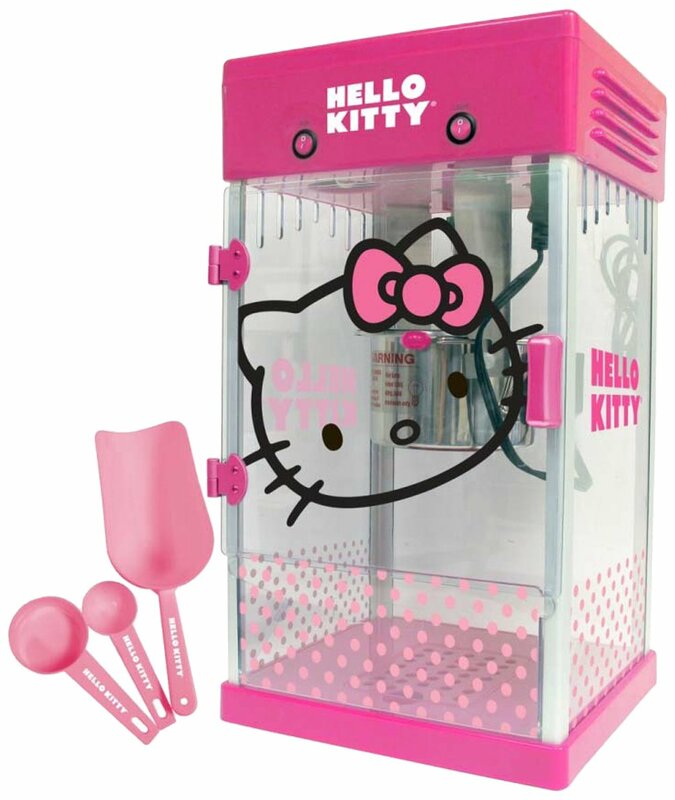 With the flick of a switch, make hot, fresh, delicious popcorn in this classic kettle -style Hello Kitty Popcorn Maker. This easy to use machine is perfect for all ages, from kids to adults. Bring fun and excitement to all your family nights, birthday parties, social gatherings, carnivals, ball games, you name it. Just add kernels, oil, and salt and you’re ready to go. Within a few minutes, you’ll have up to 24 cups of fresh, fluffy popcorn. Now there is an easy and affordable way to have the movie theater experience wherever you go.